Your CPA Realty agent will work diligently to sell your property using a variety of methods – not just placing a sign at the property. Your agent will work with you to create a plan to make it easier and most profitable to sell your property in the shortest amount of time. 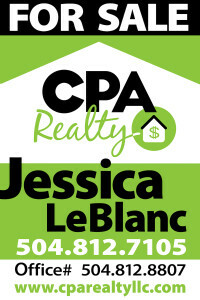 Much of your CPA Realty agent’s work is behind the scenes – promoting your property through several outreach efforts, including scheduling, marketing and hosting open houses, following up with open house visitors, having conversations with ad respondents, and posting photos and virtual tours on the web. Being your guide and confidant is part of the process as well. Once your property is publicly listed, it is entered into the local Multiple Listing Service (MLS) and on the CPA Realty website. The MLS is a comprehensive listing of all properties available. Then the listing will undoubtedly appear on national and local real estate websites, where most buyers begin their search for a new home. Buyers must be able to envision themselves in the home. Be sure to clean, organize, and neutralize your space. Avoid using bright colors and too many personal effects. Get rid of clutter and your house will look bigger and cleaner. Always have the lawn and garden in perfect shape. Think curb appeal, curb appeal, curb appeal. Have the home properly insulated to reduce energy costs. Reduced energy costs will add value to your home. You’ve heard it before – the kitchen is the most important room in the house. Update kitchen appliances and replace cabinet doors and/or hardware if needed. An updated kitchen can quite often sell your home. Update the bathroom fixtures. Simple fixtures such as updated sinks and faucets can add instant style. Buyers, particularly those with children or pets, will want a fence. Luckily, a fence adds value to your home. If you can afford to do so, install or update fencing. Be sure gutters are clean and well maintained. Add outdoor lighting! The house will be more appealing and feel safer to potential buyers. Everyone wants more storage space. Extra space is always a plus, especially in closets. Now is the time to organize closets and dispose of anything no longer needed. Efficient closet structures keep clothes organized and will add space. Clean the garage. Buyers needed to envision themselves parking or working in the garage. A messy garage will put them off. Setting the right price for your home is the most important decision you will make in the selling process. A home priced too low means that you will miss a possible profit. And a home priced too high will have potential buyers looking elsewhere – and telling their friends! Your CPA Realty agent will assist you in setting the optimal price based on market trends, since our agents have readily available access to this information as well as access to other information not available to the general public, including but not limited to other factors, such as location, amenities, market, school district, etc. Your agent will also discuss other terms and conditions that can be included in the sale of the home to make it more attractive to potential buyers, i.e. paying points, completing a repair, home warranty, appraisal, etc. Staging your home is an important part of the sales process. The goal is to make buyers feel at home when they walk through the door. Simple things, such as cleaning, eliminating clutter, putting away the knickknacks, adding fresh coats of a neutral-colored paint to brighten rooms and tidying up the yard is highly suggested. Weather and noise permitted, open windows. Be sure the temperature in the house is comfortable, so buyers have more reasons to linger. Scent is the sense most tied to memory. The smell of a fire in a fireplace, cookies baking in the oven or lightly scented aromatherapy – such as lavender – sets the scene for a welcoming home. Open the drapes to let in natural light. If the view is undesirable or obstructed, blinds and/or window coverings should be partially closed to let in light. Turn on every light in the house, including appliance lights and closet lights. Brighten dark rooms that only have a few windows by placing spotlights on the floor behind furniture. After following some of the few above listed tips, leave the home and move remaining cars to another location. This allows your CPA Realty agent to conduct a thorough tour and answer questions without the potential buyers feeling pressured or uncomfortable when owners are present. It also allows them to speak freely and that feedback is important in selling.